Palatine Hill (Palatium = Palatino) The central hill and where the city of Rome was founded by Romulus according to legend. The myth is corroborated by archaeological finds from the iron age (10th century through 8th century BC ) of huts and primitive defensive walls around the hill. 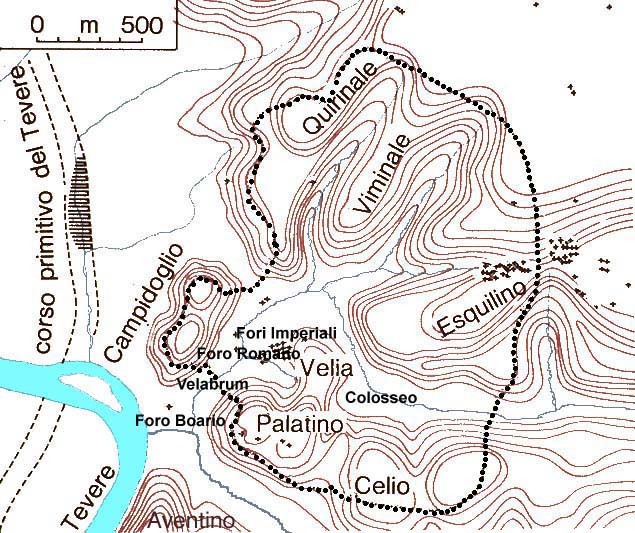 The Palatine remained the center of power throughout the history of Rome, first as the residential area of choice of the most wealthy patricians, later as the residence of the emperors. Significantly, the word palace stems from the name palatinus. The Velia, a northward extension of the Palatine, was the site of the first Roman temples in the Forum Romanum. City walls were first built around the Palatine and gradually expanded as needed. See the map below. 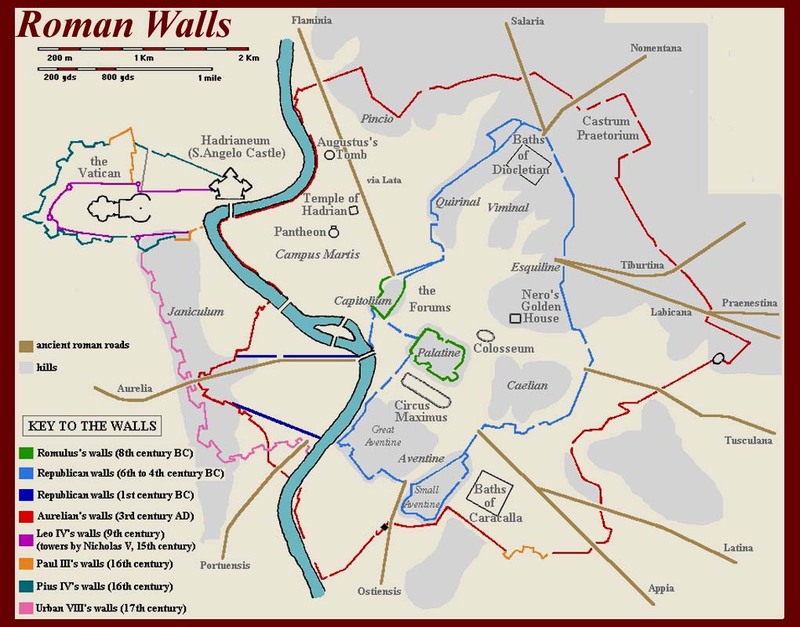 For a detailed description of Rome's walls go to http://www.geocities.com/Paris/Arc/5319/walls.htm.